The entire trip is one exiting and fascinating excursion. 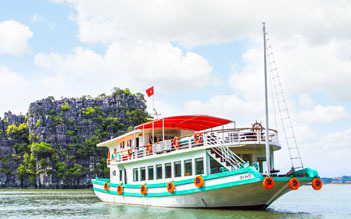 Halong Bay features a variety of interesting sights including limestone caves anf grottos, remote islands, secluded ehite sandy beaches, fishing villages and much more. 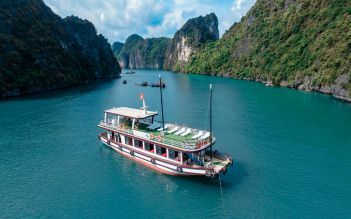 We can take you to the untamed western islets down towards Cat Ba and its national park for some "off the beaten trach" adventure or we can explore the more frequented but just as spectacular central isles. 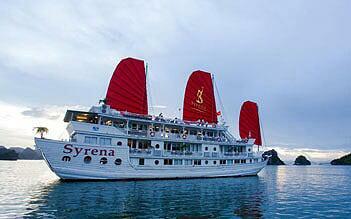 7:30 - 7:45 Pick up from your hotel with private car and transfer to Halong Bay. We cannot thank the team at L'Azalee Crusies and Chi enough. This would have to be by far, the highlight of our Holiday in Vietnam. We were on the cruise with 5 other couples, which meant there were 12 of us in total. This number was great as it meant the boat was not over crowded. I think some of the larger boats would get way too over crowded. Chi was an amazing host and as soon as we were checked in on the boat the trip of a life time started. We first went to the secret caves for a magical walk, followed by kayaking at the pearl farm, which was absoultey amazing. The next day was tai chi in the morning followed by a hike with amazing views. There was an opportunity to swim in the beach, which we didn't do. The water is very dirty and extremely unclean. However, it was nice sitting on the beach and relaxing. 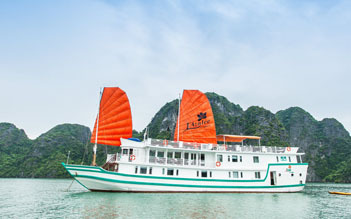 Throughout this time, there was time to sit back and relax and take in the amazing views of Halong Bay. The food on the boat was incredible, with three courses served at each meal. Drinks was the only thing not covered in the cost. Each room had its own private bath room, toilet and Shower and king bed. The only thing we wished was booking an extra night on the boat. A must do while in Vietnam! 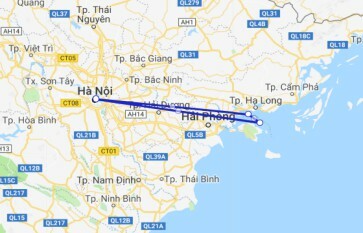 Approx 4 hour bus drive from Hanoi but well worth it. We got to visit Surprise Caves, it was about 150 steps to get up and was a good workout, but OMG the view of the caves inside and the view of the bay when you get up to the top was breathtaking. We also got to visit a pearl farm and row on the kayaks. Mum was a bit worried I was going to rock it, but I was a good daughter lol. Such an experience. We met some amazing people on board and had a great time (probably a bit too much, because there was some sore heads the next morning) but the rooms, view and service was spectacular. The next day we went to another island where some of our group walked up the 500+ steps to get to the top viewing platform to experience the 360° views of the bay. While the rest of us got more swimming time. 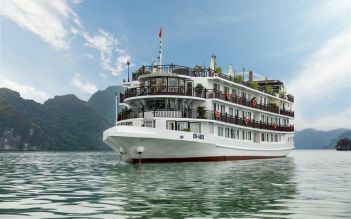 Spent two wonderful days and an overnight stay on Ha Long Bay. 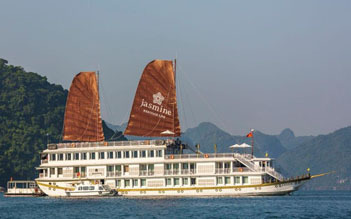 Our boat was a converted junk that had 12 rooms. Everything was very comfortable, safe and clean. We had delicious meals and the most comfortable night's sleep of our trip. The staff were very friendly and accommodated all of our requests. The activities were well organized and a lot of fun. Our group toured a cave, swam in the bay, went squid fishing, made spring rolls in a cooking class, and hiked to the top of an island. A very enjoyable respite from the busy streets of Hanoi and a trip you'll remember fondly for years. We had such a wonderful time with Minh and the rest of the crew during our one night stay with L'Azalee. They were incredibly attentive and made the entire experience very enjoyable. 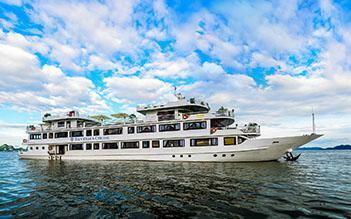 The crew went above and beyond to make sure we had the best experience possible on Ha Long Bay. We are very grateful for their assistance! We'll miss you, Minh!